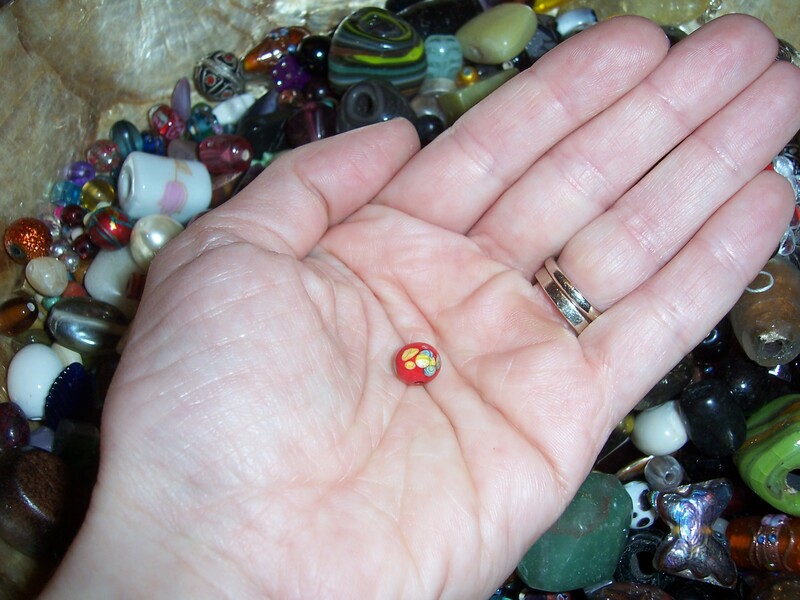 I have a little, red bead in my possession that I’ve had for as long as I can remember. I don’t recall how or when I got it and I don’t remember how old I was. If I had to guess I’d say it was a loose bead that fell off some jewelry my mom had, and I must have been around 5 or 6 years old. How this bead has stayed with me for 30 years and made it through at least 3 or 4 moves is beyond my comprehension. Needless to say, although this bead’s monetary worth is probably only a few pennies, because of its persistence to remain with me, its significance to me personally has grown as the years go by. So what can I do with a bead that means so much more than all the vintage gems and pricey jewels in my studio? One idea is to encapsulate the bead in a glass bottle and create a necklace from it. Thoughts?